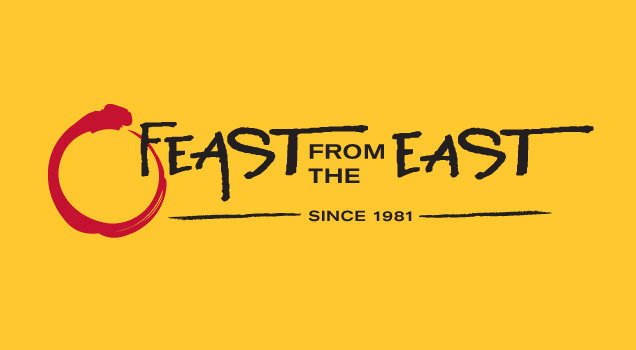 For over 20 years the Feast from the East restaurant has been a West Los Angeles landmark, serving its asian-inspired dishes to succeeding generations of UCLA students and locals who have fallen in love with the food. In the past, their distinctive dressings and marinades had only been available at limited retail outlets and at the restaurant itself. Now Feast from the East wants to make them available to a broader audience. In preparation for this move, they asked Elephant to redesign their identity.